Jenni Lynn Patterson-LaCour of Jenni Lynn Fitness shares a brand-new workout she developed for her more advanced, athletic students — aka her weekend S’WET™ WAVE WARRIORS! Ideal for individuals or instructors looking how to implement ‘strength, cardio & power’ triads into their classes, as well as take away ideas for adding maximal drag resisted exercises with and without equipment. Warrior Warm-up: The warm-up includes a series of moves designed to acclimate the body to the cooler pool temperature and limber up the joints and muscles, preparing them for a Warrior workout. Warrior Moves – Strength, Cardio & Power: The first segment is performed without equipment and introduces the concept of the triads. Each triad includes three exercises: Grounded strength, Cardio/aerobic & Power/anaerobic. Each exercise is performed for just 30 seconds, thus moving quickly from one move to the other with no rest in between. 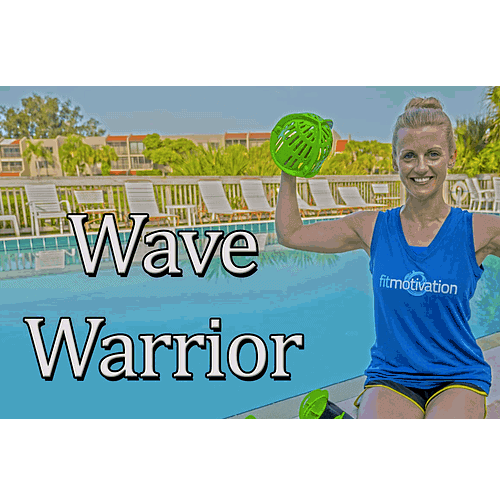 Warrior Moves – Armed & Dangerous: The second segment features drag resisted exercises with the AQUALOGIX DRAG BELLS & FINS. Drag resisted exercises become more difficult to perform due to the increased surface area and turbulence created by the equipment. Warrior Stretch: Every Wave Warrior deserves a relaxing cool down and stretch. 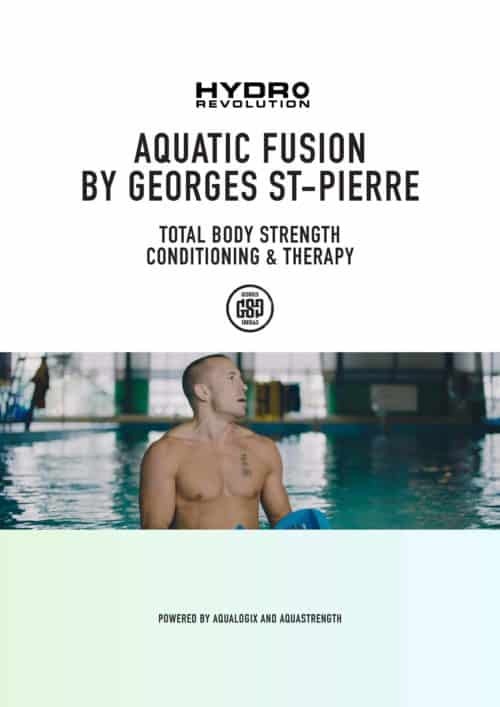 This 50+ page instructional guide is jam-packed with detailed photos, helpful tips and easy-to-follow demonstrations for aquatic fitness professionals and water enthusiasts alike! The exercises & instructions in this guide follow along with our latest DVD release: Wave Warrior. Use this pocket guide as a companion piece to the DVD workout which includes over 50 different moves, all modifiable as needed. * You can add this optional guide when selecting your purchase. Guide is provided as a PDF download which you can then print if desired. * Please note: Exercises performed can be done without the use of equipment or modified with webbed gloves and even your bare hands! Foam Buoys are NOT RECOMMENDED.